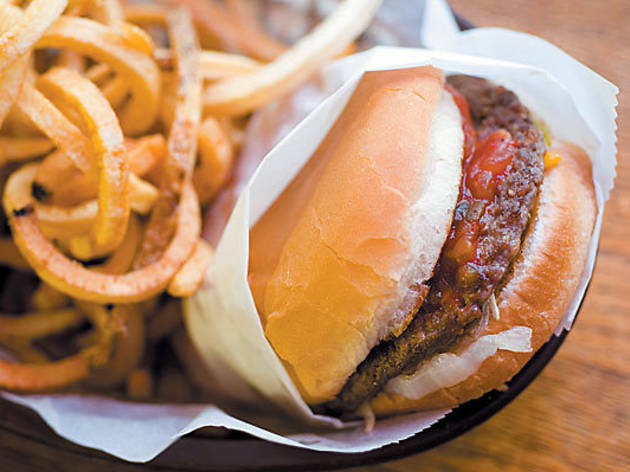 Chicago's getting inundated with burger joints from all over the country. It's time to send out one of our own. When Five Guys Burgers opened in Lincoln Park last week, it was just one more example of a disturbing series of Foreign Burger Infiltrations. The past few months have been rife with similar infractions: The Counter came from Culver City, Fatburger descended from L.A., and Sonic had the suburb of Aurora in hysterics when it finally arrived from Oklahoma. These expansions are not merely the mark of ambitious corporations; they’re a suggestion that Chicago has a hole to fill. 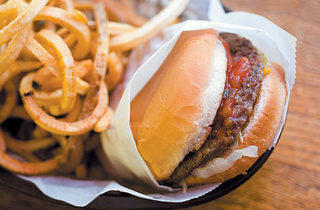 We have no quintessential burger of our own, so other cities’ burgers are here to stake their claim. But enough is enough. Sure, this is a town known for its hot dog and its deep-dish, but it’s not as if we don’t have great fast-food burger joints of our own. A little marketing, a little capital, and we, too, could be exporting one of the city’s gems. Below, a few nominees that would do us proud.